This blog exists only as an archive. 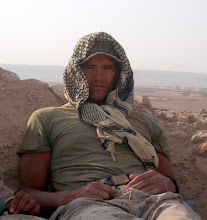 It is a journal that serves as a window into my life as a Marine combat veteran serving in Iraq and Afghanistan; it was written with no filter, no politics and no agenda. Please feel free to follow my journey from beginning to end. Welcome to my life. Just wanted to take some time to give some much deserved props to all my friends at Wisconsin who proved themselves worthy of getting drafted this weekend in the NFL draft. They can actually say that they are good enough football players to compete at the highest level, on the biggest stage in professional sports. I played with all these guys and know the kind of effort that goes into what we did, and these are the guys that had some of the best work ethics I've ever seen. So don't hate, they deserve everything they get from here on out.